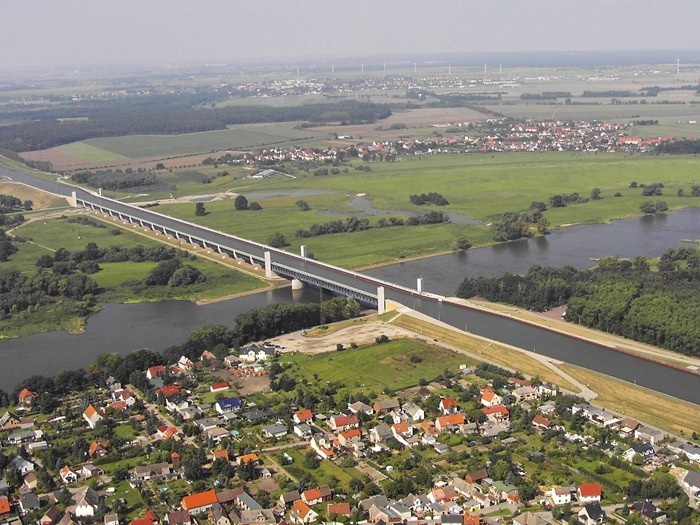 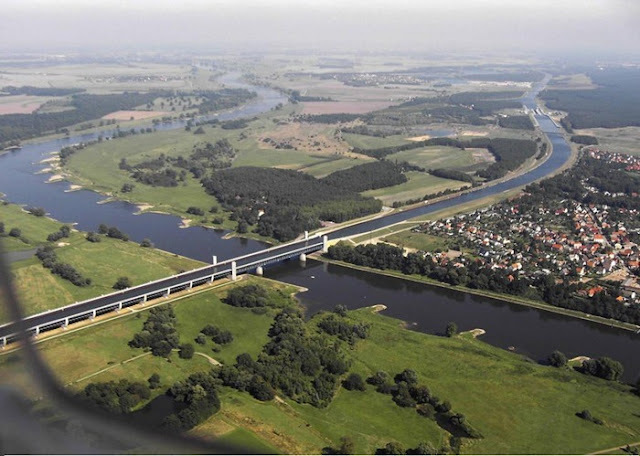 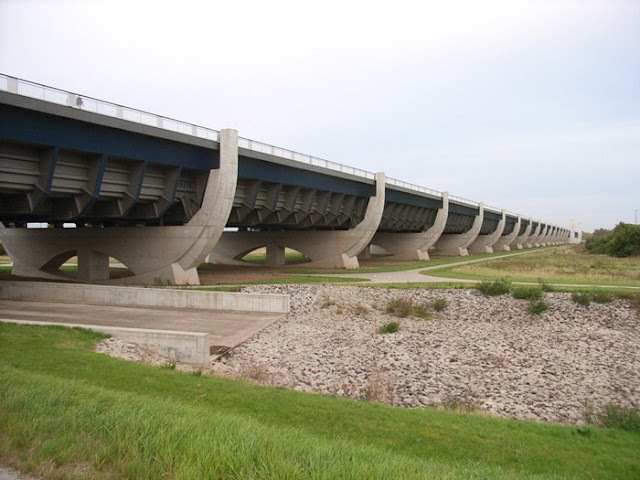 The Magdeburg Water Bridge is a navigable aqueduct in Germany that connects the Elbe-Havel Canal to the Mittelland Canal, and allows ships to cross over the Elbe River. 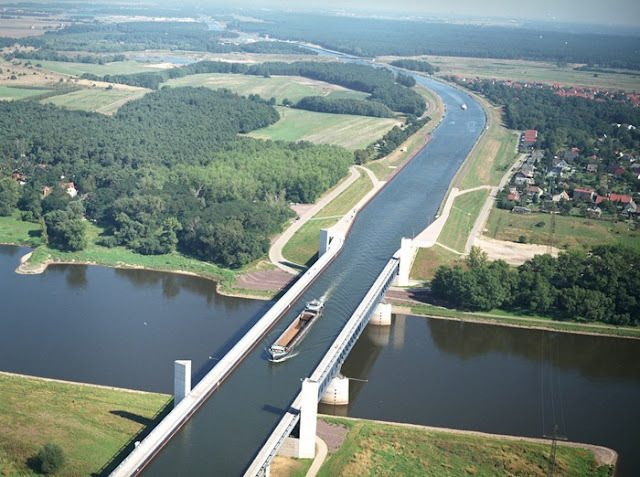 At 918 meters, it is the longest navigable aqueduct in the world. 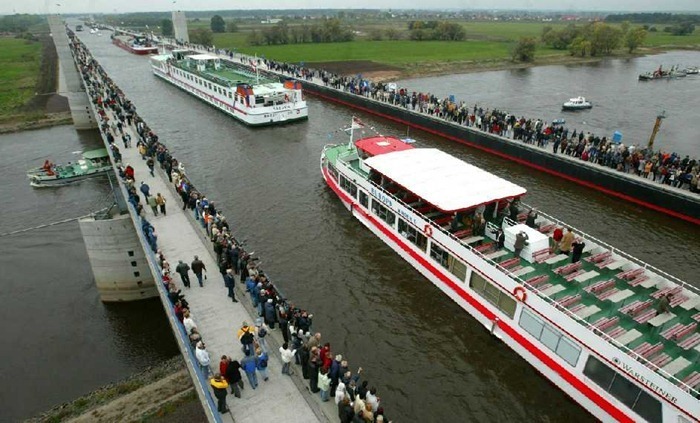 The Elbe-Havel and Mittelland canals had previously met near Magdeburg but on opposite sides of the Elbe. Ships moving between the two had to make a 12-kilometer detour, descending from the Mittelland Canal through the Rothensee boat lift into the Elbe, then sailing downstream on the river, before entering the Elbe-Havel Canal through Niegripp lock. 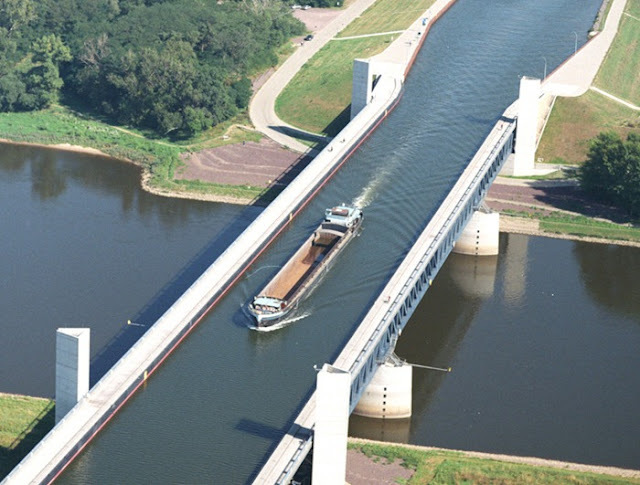 Low water levels in the Elbe often prevented fully laden canal barges from making this crossing, requiring time-consuming off-loading of cargo.